(Seychelles News Agency) - As of Thursday July 16, Seychellois passport holders will no longer need to apply for a visa when travelling to the United Arab Emirates (UAE) with the coming into force of a visa waiver agreement signed last year between the two countries. All Seychellois nationals will now be allowed entry, exit or transit through the United Arab Emirates visa-free for a period of no more than 90 days. “It is important to note that Seychelles citizens will not be entitled to work or practice any professional or study thereof, without observing applicable laws corresponding to these activities in the United Arab Emirates,” reads the press statement. 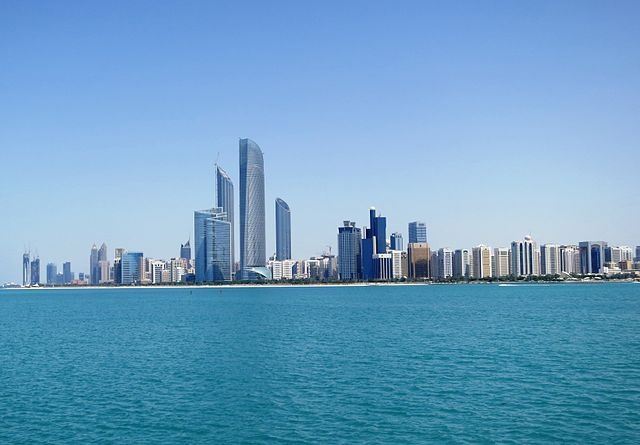 The visa-waiver was signed in Abu Dhabi in November last year by the then Seychelles Minister for Foreign Affairs, Jean Paul Adam and his counterpart Sheik Abdullah bin Zayed bin Sultan Al Nahyan on behalf of the UAE government. This was in the presence of the Seychelles President James Michel who was on a working visit in Abu Dhabi. It came two years after the signing of an agreement that exempted Seychellois diplomatic and official passport holders only from visa requirements. The Seychelles President James Michel has commended the excellent relationship between the two countries. “The coming into force of this the visa waiver agreement will herald a new period in travel with ease for the Seychellois people and also enhance greater people to people contact, trade and tourism between our two countries,” said Michel in the statement. Seychelles, an Indian Ocean archipelago of 115 island with a population of around 90, 000 people has become the first country in Africa and also joins the list of over 40 nations whose citizens do not need a visa to travel to the UAE which is the most popular destination for Seychellois travellers. According to figures published by the National Bureau of Statistics (NBS) in 2014, 9,039 trips were made by Seychellois citizens to the UAE, as the two destinations are linked by direct flights on the Seychelles national carrier Air Seychelles, and the two UAE carriers Etihad Airways and Emirates airline. Mauritius was the second most popular choice for travellers (6,353) followed by South Africa (5,286) in a total of 35,431 short overseas trips made by Seychelles citizens in 2014. In the past, Seychellois traveling to anywhere within the UAE had to go through agencies offering visa services while Dubai-based Emirates airline that has an office in Seychelles was also processing visa applications for its passengers bound for Dubai. An infographic published by GOOD Magazine last year, which ranked countries according to the number of countries their passports can enter either without a visa, or with a visa on arrival, revealed that Seychelles passport holders have access to 126 countries, making it the African passport with the best access to the world, sitting in 28th position worldwide.